Fitz Gaffney finally has some breathing room. His mother’s out of town, his piano coaches have backed off, and he’s spending his time in a music conservatory where he only has to be adequate for an entire year before all his responsibilities comes crashing back in again. Along with his new free time comes the realization that he’s lonely, but his first attempt to make new friends goes horribly awry. Fitz’s new — but possibly imaginary — friends, Evan and Serge want to help him find happiness. His used-to-be-step-brother Ari Scheffield wants to help him gain confidence and a little much-needed cool. His housekeeper Marguerite wants to keep fowl in the back yard for butchering because Duck confit is expensive and she has pillows to re-stuff. And his possible new boyfriend Garrett wants to prove he didn’t mean for their first date to end with Fitz lying unconscious in a Dumpster. All Fitz wants is someone to care about him, but suddenly there seems to be a glut. 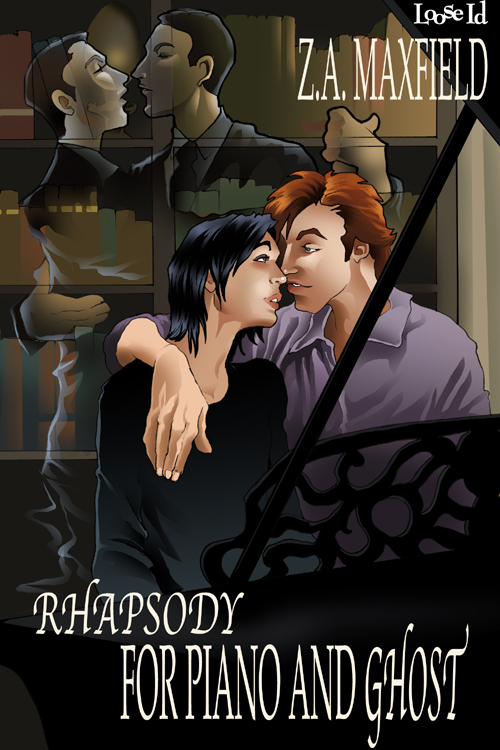 How’s a shy guy to know what’s real when he’s confronted by crazy ghosts, a less than truthful boyfriend, and relatives with hidden motives in Rhapsody For Piano and Ghost.